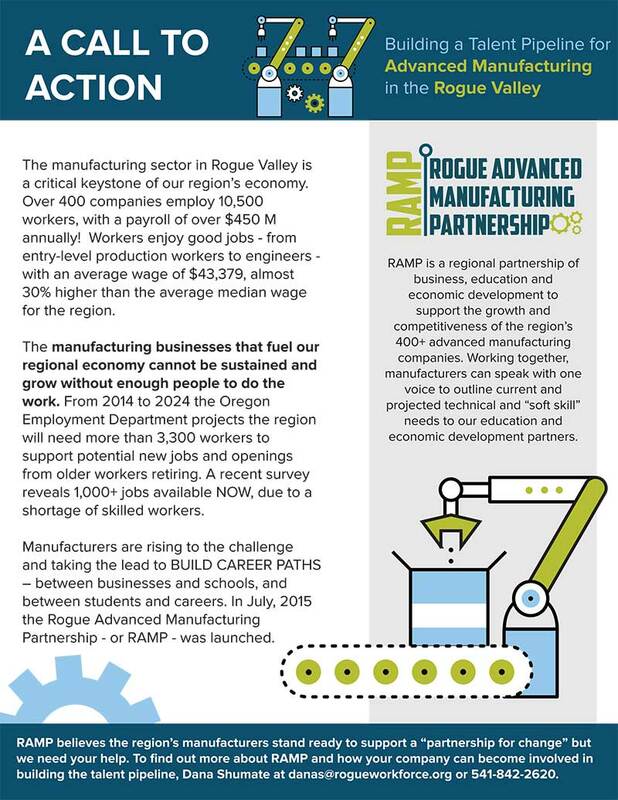 The Rogue Advanced Manufacturing Partnership was launched on October 30, 2015. Manufacturing industry leaders first identified the biggest opportunities to grow the sector in the region, then focused on three requirements to capitalize on those opportunities. RAMP Minutes, Agendas, and other pertinent information are listed here as a record of our collaboration, work, and progress.